Wondering what to give the history lover in your life? The Fondation Napoléon has put together a Christmas list of Napoleonic books, and Napoleon in America is on it.
. We’ve put together a list of suggestions for some juicy books for you to get your teeth into! There’s something for everyone: biographies, military analyses, beautifully illustrated exhibition catalogues, a feast for your eyes, and of course a wealth of books covering the various events commemorated in this exceptional bicentenary year. 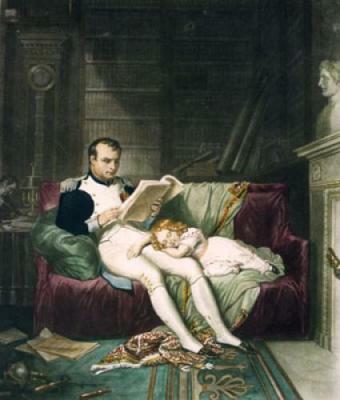 To see the Fondation Napoléon’s 2015 Christmas reading selection, visit Napoleon.org. There's something for everyone: biographies, military analyses, beautifully illustrated exhibition catalogues, a feast for your eyes, and of course a wealth of books covering the various events commemorated in this exceptional bicentenary year.